You will receive a second email message that includes your hub.totalsem.com log-in information for your A+ video content. A+ Certification Video Training, starring Mike Meyers, the Alpha Geek! Filmed in an episodic format designed to optimize your learning experience, the new Mike Meyers A+ video will fascinate and engage you. 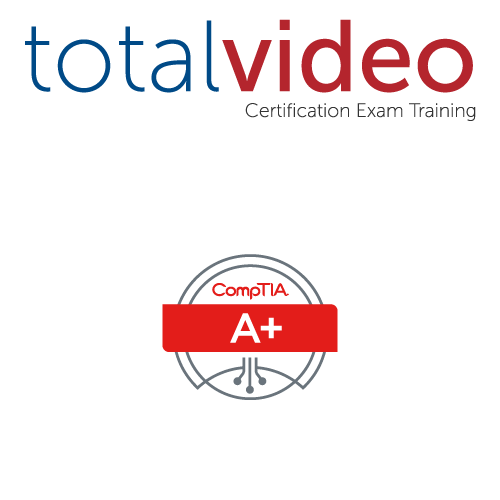 With substantive technical content and laugh-out-loud segments, this A+ video takes you on a great ride as you prepare for the CompTIA A+ certification exams 220-901 and 220-902 (buy now and also automatically receive 220-1001 and 220-1002 content when available).